Schroth's Bolt On brackets are very unique and have specific uses. Usually the brackets needed for harness use are included with each belt. However, they can be purchased separately because each bracket sovles some common problems associated with certain belt installations. 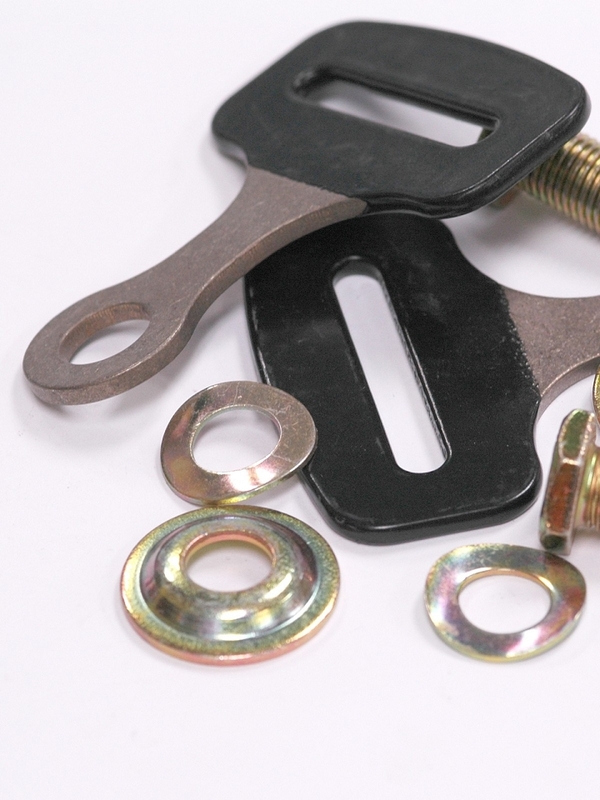 The 01323 Kit is a bolt-in kit for 3" webbing. It is designed in such a way that it can be bent with pliers to a specific angle for acheiving a perfect harness installation. The most common use is for shoulder belts that need to be bolted into a harness bar. Will need the 3 bar slides that come with your shoulder belts. If you need those as well, you need the "Wrap Kit". A: The kit contains 1 - bendable bracket, 2 wave washers, 2 step washers and 2 regular washers.